Fraser at the 2010 London Santa Claus Parade. 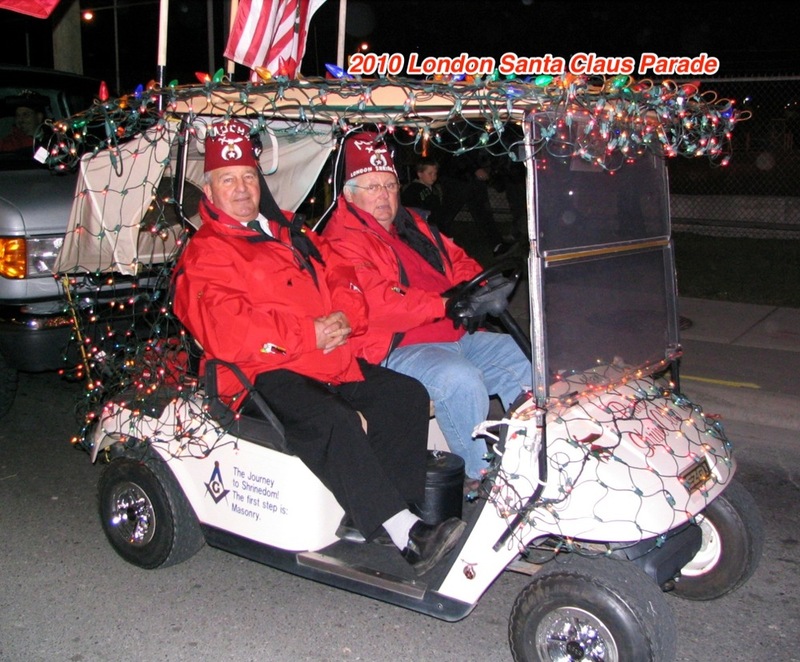 Look for Fraser in the parade again this year with the Bruce Shrine Club having fun raising money to help Shriner's Children. Do not forget to bring food for the food bank. If you see Fraser yell his name - he will be on a golf cart with lots of lights. Take his picture and post it for everybody to see. Merry Christmas.